I've been known to romanticize golf. Can’t deny it, why would I want to? Allow me to take it a step further and connect golf and romance, otherwise known as date golf. Golf can be enjoyed in many different ways, that's the beauty of it, the experience is not stagnant. One of my favorite ways to enjoy the game is playing a round with my wife. Some enjoy this game because it’s an opportunity to spend time away from a husband, wife, boyfriend, or girlfriend, I understand that. However, try to hear me out because date golf is a real good time as long as you follow a few simple rules...guidelines...suggestions. Note: Some rules may vary depending on your skill level and the skill level of your date. 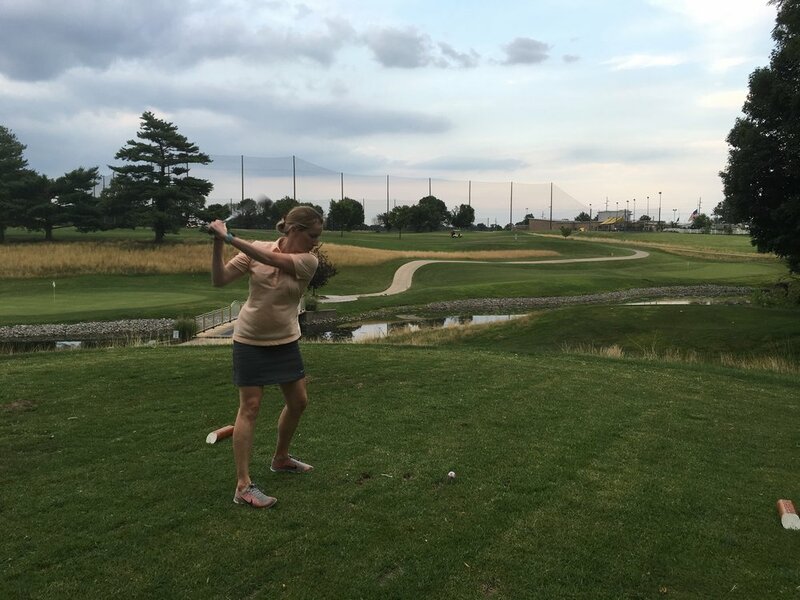 For the sake of explaining my perspective let me clarify that my wife is not a self-motivated golfer. She appreciates the game and enjoys playing, but not in excess; she leaves the over golfing to me. That being said we’ve spent quite a bit of time on the course together and every round has been enjoyable, memorable and dare I say romantic. We make it work because we follow a few simple rules that make the experience fun. Your date isn't going to be impressed because you play from the tips. Teeing it forward isn't about swallowing your pride, it merely gives you more time together and it’s way more convenient, especially if it’s slow out there. So keep the leash on the big dog and peg it at the forward tees. Ditch the scorecard. This applies especially to those couples that have a large skill gap. 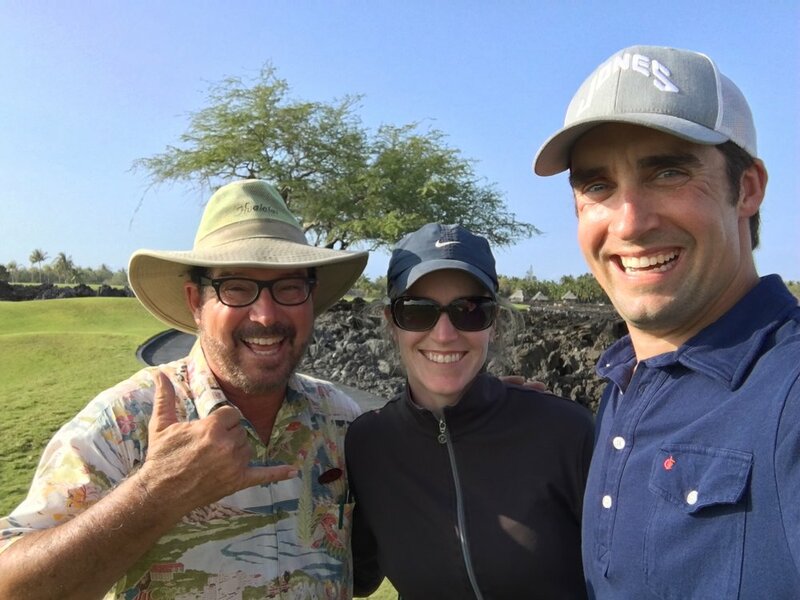 Nothing kills the mood like, “what’s this putt for double bogie?” Celebrate the good shots, brush off the bad shots and focus on more important things like your date. 3. Date golf is not a lesson. I can’t see too good, is that Butch Leadbetter over there? Didn’t think so. We have a date down! A round of golf can feel interminable, especially for the novice. You love this game, the last thing you need is for your date to hate it. Play less to in order to play more (often). Nine holes can take about as long as a movie. Instead of sitting in the dark staring at a large screen take your date to the course and play a sunset nine. This isn't a sanctioned event, cool your jets Mike Davis! If you want to kill the mood, tell your date that the drop he/she took was illegal or that his/her ball came to rest out of bounds and the proper play is to return to the tee box. Instead, break out the foot wedge from time to time and try to relax. Lift, clean, and place your priorities where they belong, making sure your date is enjoying the round. Always tip the beverage cart purveyor. Have suggestions of your own? How do you enjoy date golf?